The best way to learn Professional is to install a local copy of Power Manager. This installation will provide a copy Power Manager for you to practice managing and deploying events to. 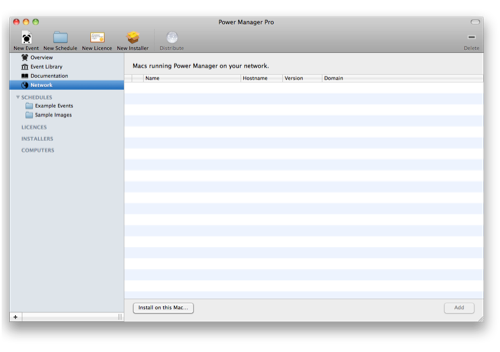 A copy of the Power Manager installer is included in Professional. You can begin the installation process in a couple of ways. Alternatively, the installer can be launched from Network.